The puppy’s owners didn’t want her anymore. What they really wanted, they decided, was an iPhone. Earlier this month, a friend of Emma Haswell, founder and director of Brightside Farm Sanctuary in Australia, was scrolling through Facebook when she came across an ad. Haswell, who regularly rescues dogs and farm animals, wasn’t too surprised by the ad. 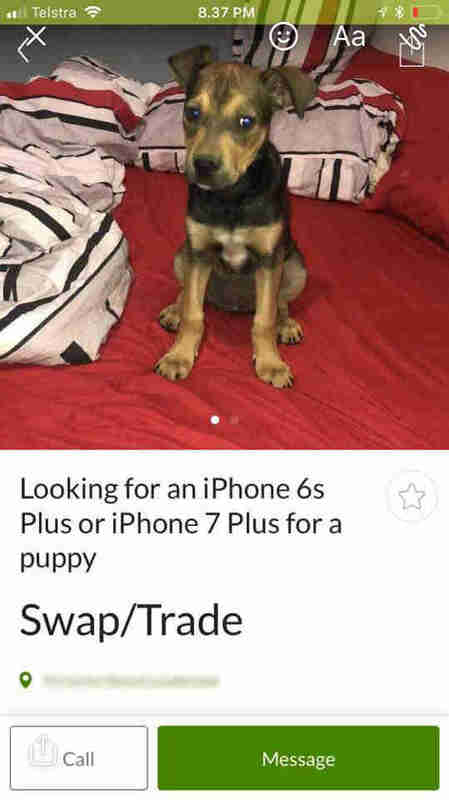 She often sees dogs and puppies being advertised for sale online — although this was the first time she saw an ad trying to swap a puppy for a phone. 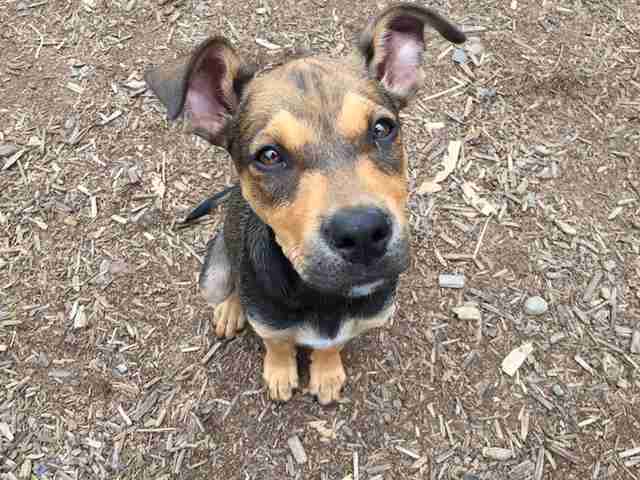 To make the situation worse, the puppy was only 14 weeks old. 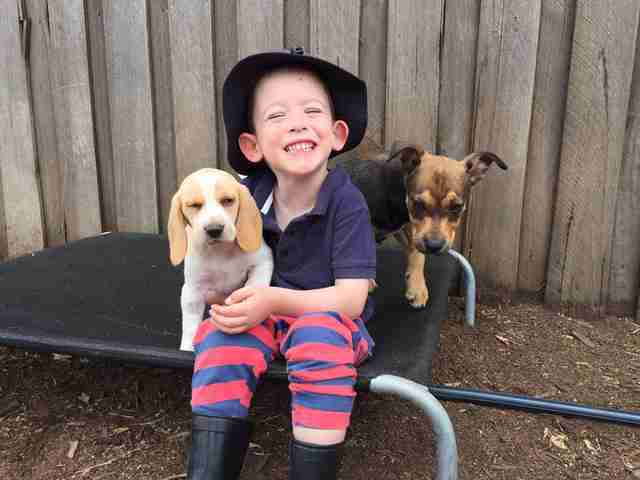 Haswell’s friend didn’t waste a minute — she got in touch with the seller and asked for the puppy, who is now named Possum. While she had to front some cash to get Possum, she refused to pay the full price of an iPhone. Once Possum was safe, Haswell settled her into a foster home through the Brightside Farm Sanctuary network. She spayed and vaccinated Possum so she'd be ready to find a new family — the kind of family that wouldn’t trade her for anything. Possum didn’t have to wait for long. The very first family she met fell in love with her, and quickly decided to adopt. To help Brightside Farm Sanctuary rescue more dogs like Possum, you can make a donation. Looking for a forever pet of your own? Then meet Dodo Adoptbot, an interactive guide for new pet parents. Get started on Facebook Messenger or text HOME to 38349.